Welcome to patch 5.20, the one where we continue our slower pace while making sure to buff Teemo. Preseason and the ongoing World Championship are big topics for us as of late, but not so much that we’d leave the rest of y’all non-pros out to dry. So what have we got this time? We’re full-steam ahead on our preseason work, but still taking the time to tackle outliers on both sides of the balance spectrum. Mundo’s been hitting the gym, Teemo’s tuning his shrooms for maximum fungal-firepower, and Darius’ axe is losing a bit of its edge (probably worn down from all the pentakilling). 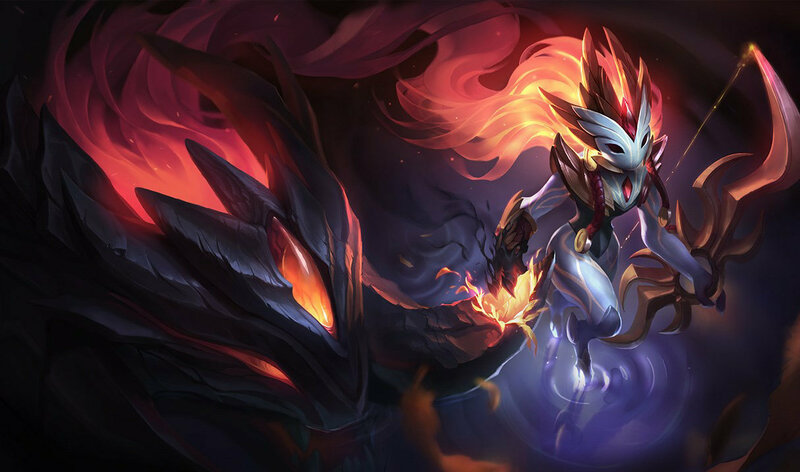 Moving on from champion changes, the original featured game mode, One For All, is back to let you experiment with some of the wackiest compositions and interactions League has to offer. That’s it for us! Check below for the specifics, and we’ll see you on the Rift, battling it out for those sweet end-of-season rewards. Until then, may all your journeys be magical, and all your Kenches unbenched. R starts further behind Azir. 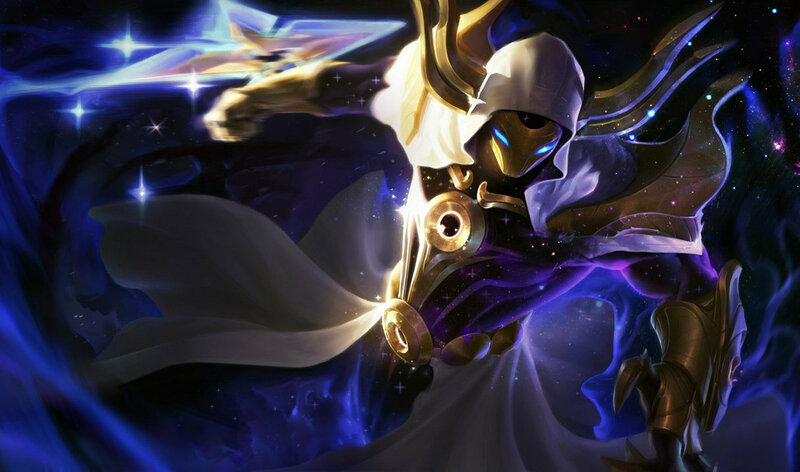 As part of our rescripting efforts for Azir, a change in code to Emperor’s Divide had the unfortunate side-effect of spawning the Phalanx closer to his body, reducing its effective range. We’ve tweaked the ultimate back to its original range, so you’ll have the benefit of smoother wall interactions while still scooping the assassins and back-line threats like you used to. Q width decreased. E slow decreased. Still going strong. 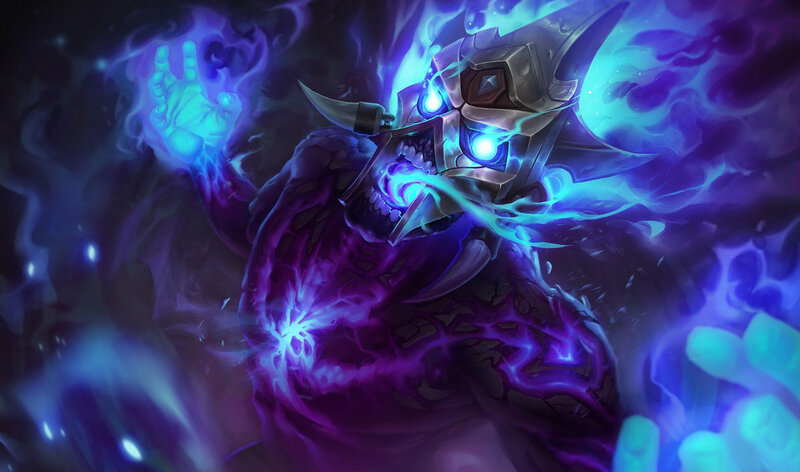 We’re tuning back the reliability of top lane’s most notorious dunklord. Underneath all the raw bulk and resets are intricate elements of spacing and positioning - given the ‘blank’ space on Decimate - but they simply aren’t working as well as we’d hoped. Creating more opportunities to ‘dodge’ Decimate by taking advantage of its decreased width and Apprehend’s weaker slow means more opportunities for you to profitably retaliate before Darius achieves prime dunking position. W has a mana cost. The introduction of Runeglaive’s done wonders for solving Evelynn’s dependence on mana... which is tricky, given the fact that Eve’s love/hate relationship with mana costs was key to keeping her in check when running down her prey. 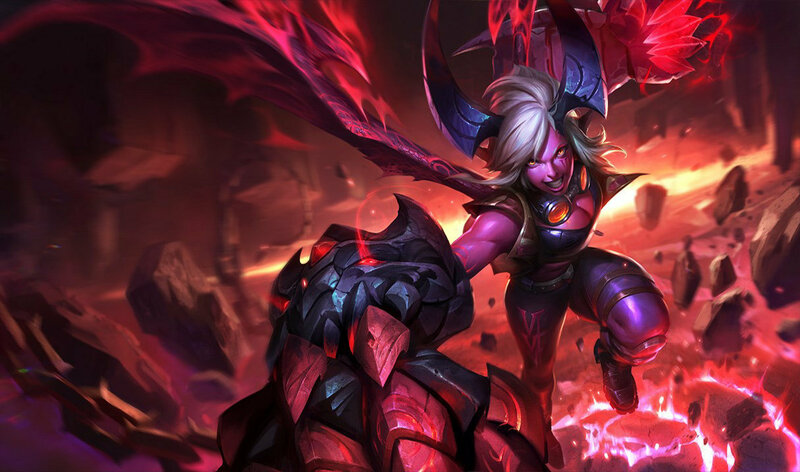 With that gate loosened substantially, adding a cost to Dark Frenzy amplifies the importance around when and how Evelynn manages her movement in combat. R’s healing zone duration lowered, but scales with vitals hit. Since her rework, Fiora’s risen in the ranks of solo queue and professional play alike as a truly dominating solo lane. While we chipped off some of her base stats last time around to make Fiora more exploitable in bad matchups, it appears we’ll have to go further to knock the Grand Duelist off her throne. This patch we’re focused entirely on the reward incentives for Grand Challenge. While it makes sense for Fiora to receive a massive heal for successfully and skillfully slashing away at her opponent’s Vitals, it’s instead often used as a low-effort way to reset the fight after her team collapses on a single target. We want Fiora to provide benefits for her team, but this skewed the ability too far toward a ‘massive teamfight ult’ on a champion that’s already adept in 1v1 situations. We’re clipping its effectiveness as a ‘fire-and-forget’ ability, but keeping the greatest reward for when Fiora truly exposes her challengers. TEMPORARY MATH ADJUSTMENTS We are aware of a bug where melee Oathsworn champions must hit a marked champion twice before they trigger the passive damage bonus. Traps arm faster and have a lower cooldown. Heads Up! Due to a mistake behind the scenes, only the tooltip for Noxious Trap’s cooldown was changed, not the actual value. As-is, only the arm time change will be in 5.20. We’ll have the CD fix in for the next patch. Sorry! We’ll leave the Teemo jokes at the door; we recognize the scout’s not performing well after our last round of changes, so we’re stepping in to aid his swift recovery. The big idea for 5.15 was to broaden Teemo’s traps applications (trapplications? ), allowing him the option to convert advantages from a solo lane to teamfights, but we drained too much power in the process. Administering a booster-shot to Noxious Trap’s arm-time and ammo count helps Teemo’s reliability across all phases of the game, no matter how you choose to terrorize your enemies. Vayne’s dominance over the current state of the game is an interesting case. On one hand, Silver Bolts’ max health % true damage and Tumble’s in-combat mobility seem like natural fits for a metagame where Juggernauts and other melee fighters roam free. On the other, for a champion that’s meant to have a weak laning phase and a high skill curve, the frequency with which Vayne’s seeing play - and succeeding - does raise a few alarms. In keeping with her identity, we’re lowering Vayne’s effectiveness in the early game relative to other marksman while still preserving her potent late-game threat against the tankier champions in League. Addressing some pain points with the Patience system we introduced last patch. Mostly it feels weird to wait for a monster to reset to full health before you can fight them again. We’ll continue to adjust the system as necessary to perform up to par, so keep feedback coming if you see anything weird when it comes to jungle leashing! One for All will be making a return during patch 5.20! Our splash art team is ramping up to the long-term task of updating our older/less faithful skin splashes. We’re working out a consistent plan when it comes to releasing updates for some of our older champions (Nidalee splashes where?) but, for now, you can enjoy the slick new look of the 5 skins below!